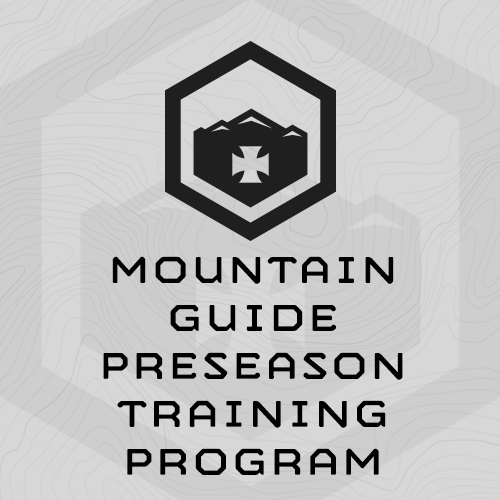 6-week, 30-session training program designed to prepare local Jackson Hole mountain guides for the busy Alpine guiding season in the Tetons. Program focuses on building their “mountain chassis” – legs, core and lungs, for up and down hill hiking and climbing under load in the Tetons. Plans also builds durability, and sport-specifc fitness for rock climbing. The plan progresses – gets harder – as the weeks go by. To complete this training plan, you’ll need access to a commercial gym complete with racks, barbells, plates and dumbbells and/or kettlebells. You’ll also need access to a climbing gym with a bouldering area, or a bouldering gym. Pick 4 Routes 2-3 V levels under your ability (a V-4 Climber would use V-2 and V-1 Routes). I dropped 9 minutes off the 500 step ups assessment in week 6. your program works. thank you. I haven't felt this strong in a long time.